We are excited to tell you about a big sale happening Monday, August 8th. 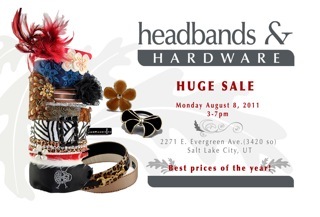 Headbands & Hardware is having a huge inventory sale right here in Salt Lake City! Get ready to stock up on the latest styles in hair accessories.